“Saved by Faith and Hospitality”: A Brief Assessment | drcelucienjoseph, "Thinking and Meditating"
I love when a Biblical scholar or theologian writes with great theological precision and conviction, and with the church in mind. My personal position on theology is that good theological doctrines and beliefs should constructively transform the theologian himself, on both moral ground and ethical praxis, in the same way these shared theological beliefs and traditions should influence the church to change toward an alternative way to living and embodying the Gospel. In the spirit of Jipp’s text, contemporary churches in America and Evangelical Christians need to practice and live the Gospel of faith and the Gospel of hospitality, because “God’s hospitality creates a community that embodies hospitality in its practices and also in its composition.” When that happens, contemporary American churches and Evangelical Christians would be able to overcome tribalism, xenophobia, greed, racism, bullying, hypocrisy, etc. One of the major problems in the church today is the absence (or the lack of) of a biblically-rooted ethical system and its ignorance of a biblically-centered moral virtues, both in life and practice. The American church is and has been trapped in an ethical system and cultural worldview that promote and sustain aggressive capitalism, militarism, inclusive nationalism, anti-Gospel public policies, aggressive immigration policies, and a politically-charged ethical framework that leads to social death and correspondingly, one that is against the poor, the fatherless, the widow, the immigrant, and the economically-disadvantaged individuals and families in our society. The Gospel is more than a set of beliefs and theological propositions followers of Jesus Christ embrace; real and existential life issues are integral in the Good news of God revealed in the pages of Christian Scriptures and in the person and work of Jesus Christ. The demands of the Gospel are radical requests that invade every sphere of human existence–the cultural, political, economic, the educational, and the moral life. 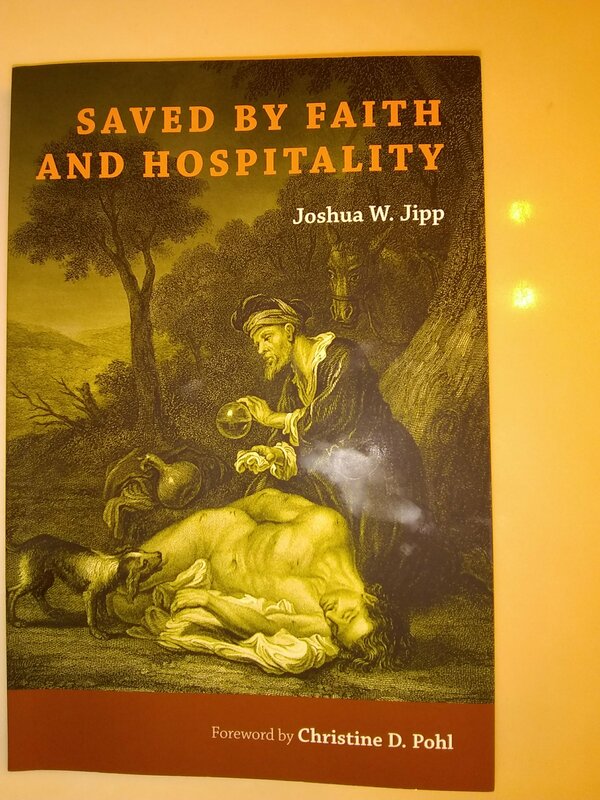 “Saved by Faith and Hospitality” is a must-read book that I recommend to every Christian minister, pastor, and church leader. Every church should own a copy of this book. It can be used in small group settings. There are reflective and practical questions at the end of every chapter to generate (moral, ethical, and responsible) Gospel-centered conversations on the subject covered in the chapter.